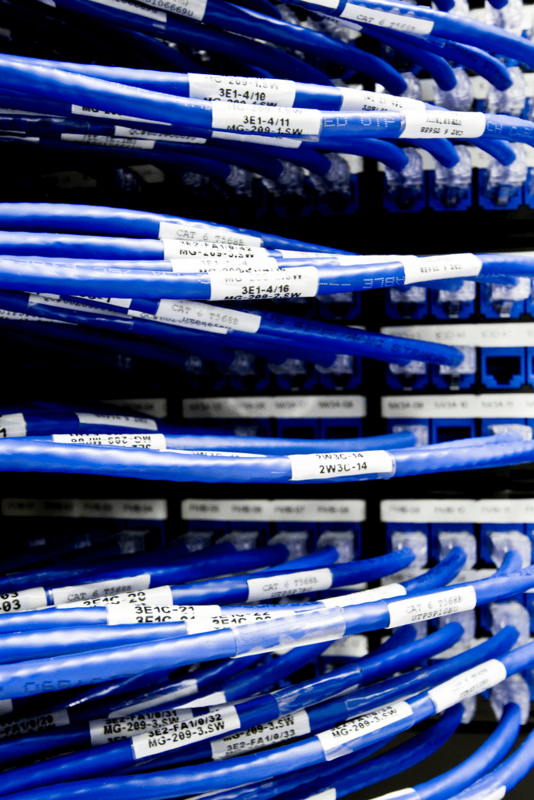 Rocky Mountain Systems, Inc. provides cabling solutions for all your office or business needs. We provide Cat6, Cat5e, and Fiber optic options. We certify all our cabling with a Fluke DTX 1200 Cable Tester. Our staff members are trained and certified to set up Local and Wide Area Networks to provide the connectivity that your company needs. Using High Speed Networking with Cat 6 or Cat 5e cable, your company can have Broadband access to the Internet, and use shared resources. Whether you are needing to add a single line for a new location in your existing space, or needing all new cabling for your new space, we can handle the job. For new businesses that are constructing their first building and businesses that are in the midst of remodeling, RMSI can run the cabling before the construction is finished. That means less down time. Less down time means more time spent on productivity. RMSI is a company that understands how important that is to a business.